The Marion-Grant County Chamber of Commerce will be busy downtown in the next week with three ribbon cuttings all along Washington Street in downtown Marion! Hope to see you there! 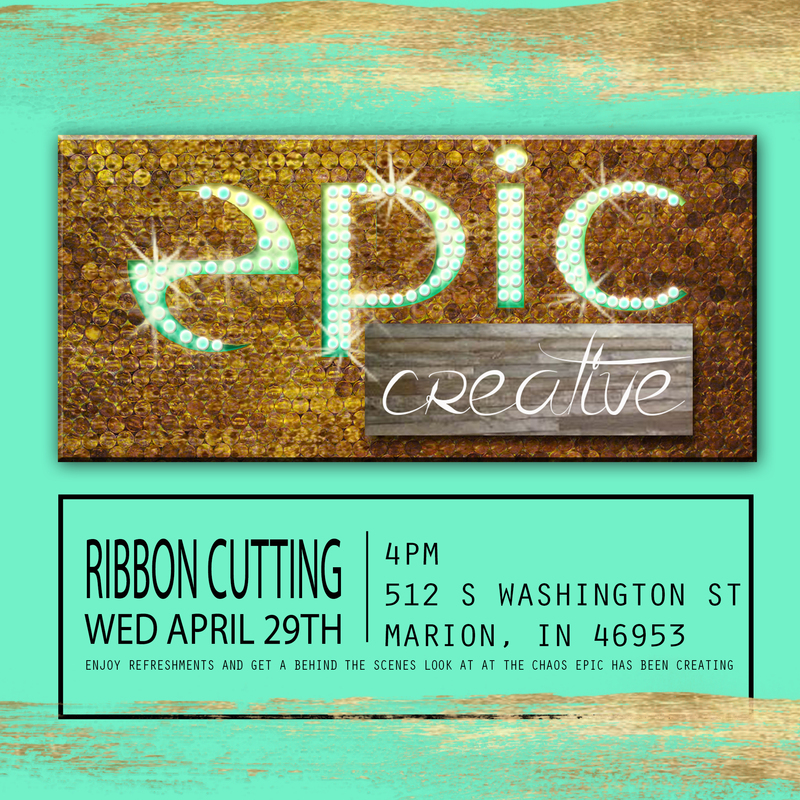 Join us as we cut the ribbon on Epic Creative’s new space at 512 S. Washington Street on Wednesday, April 29th! The event will begin at 4:00PM with refreshments provided. Make plans to attend the Ribbon Cutting on Riverside Community Federal Credit Union’s beautiful new downtown building on Friday, May 1st. The address of the new location is 101 N. Washington Street and the Ribbon Cutting will be at 12:15PM. Refreshments will be provided. Lark’s Song has a new space! Plan to attend the ribbon cutting for their new location at 401 S. Washington Street on Friday, May 8th. The ribbon cutting will be at 4:00PM and the open house will continue until 8:00PM. Community members are invited to stop in to see the new space, enjoy a cup of coffee, and refreshments. The celebration will continue through the weekend with workshops being offered on Saturday. Next The 2015 Thursday Picnic Season Here!